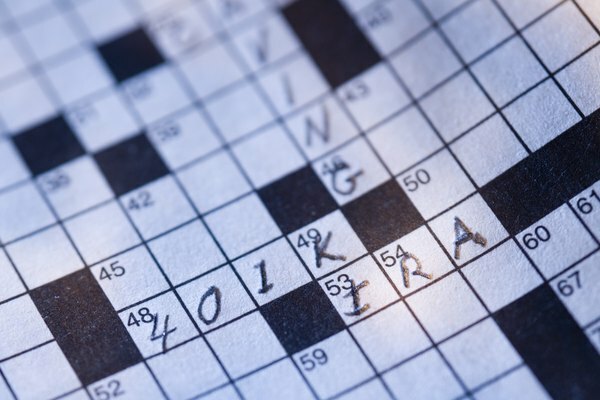 Converting a pension to an IRA can be a complex endeavor. 1. How Many IRA Rollovers Can You Do in a Year? Pension disbursements are regular payments, usually monthly, made from a pension fund you have paid into. Since some pension funds are set amounts paid for the length of the pensioneer's life, people with large pensions sometimes consider switching their pension fund into individual retirement accounts. One advantage to this is that IRAs can be inherited, and some pensions cannot be. IRAs also have particular tax benefits that are not always available to those who have pensions. The first step in converting a pension account into an IRA is to make certain your account is eligible. Most accounts can be converted, but, according to the Internal Revenue Service, there are several pension types that are excluded. If the terms of the pension require a monthly withdrawal, if it is based on corporate profits, if it is a loan or early withdrawal because of hardship, or if it covers the cost of life insurance coverage, a pension is likely excluded. All IRA accounts require professional help to open. Accountants, bankers, financial advisors and insurance agents are among those who can set an IRA up for you. There are many different kinds of IRAs available to consumers, and understanding which is the best for you will take time and research. IRAs can include annuities or regular contribution accounts, with some having rules and restrictions on the deposit sizes and frequencies. Working with your financial advisor, decided whether you want to open an account with one large sum or make regular deposits. Some people choose to open a traditional IRA and deposit all or a portion of their monthly pension payout into it. If you have already opened an IRA, you can investigate converting it into a "rollover IRA," also known as a conduit IRA. This is an account that automatically takes pensions or pension payments and converts them for the beneficiary. These tend to be used by pensioneers because there are no deposit limits, which means they can place their entire pension in the account if they choose. Once you have decided on the kind of IRA account and the means by which you will have your pension converted to an IRA, it is important to coordinate between the pension issuer and the IRA broker. Many financial advisors provide conversion services as part of the initial IRA setup, but some charge for arranging new rollovers or conversions. Similarly, some pensions have rollover and cash-out periods. Ensuring that the conversion from pension to IRA runs smoothly may require you to coordinate between the issuer and your financial consultant. It is importnat you stay in touch with both to see the matter through.